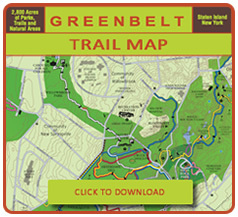 Monday, April 22: Please save the date to celebrate Earth Day and the Year of the Greenbelt with Community Leaders and Greenbelt friends. 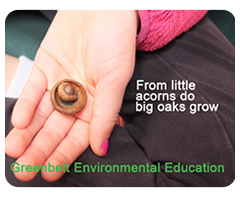 This event is open to public; please bring your friends and family for a morning of nature inspiration and appreciation as we celebrate Earth Day and launch "The Year of the Greenbelt!" Michael Cusick, NYS Assembly Member will join our staff and board members to celebrate Earth Day and to announce "The Year of the Greenbelt," which focuses on significant anniversaries within our organization and the great success of our programs and mission. 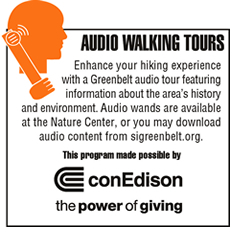 We will enjoy the woodlands during a short hike, learn about the area's history and how it became protected park land, and share an opportunity to help beautify the Nature Center Trail. Light refreshments will follow.